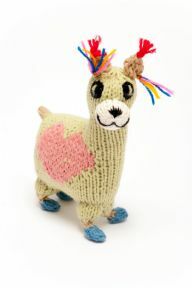 Our adorable hand knitted llamas, made in peru. Available in pink, green, and blue. Due to the nature of their productions colours may vary slightly from the photos.